Well August suddenly turned into a hectic month...I won't bore you with the details, but suffice it to say that our 2 steps forward resulted in 10 steps back. Bleh. My daughter pointed out that I must be just a tad depressed as evidenced by almost all my quilts and designs as of late - I'm definitely in my Brown Period. Won't be as lucrative as Picasso's Blue Period, though. I've got 4 quilts sooooo close to the finish line and 3 of the 4 are predominantly brown. And two of them are baby quilts. Maybe I need to up my meds. 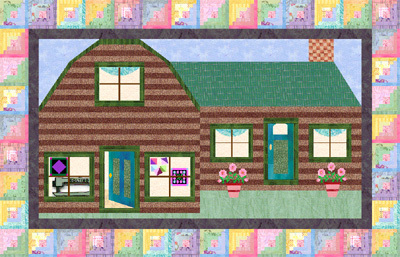 But at least the calendar background isn't brown...just the quilt. 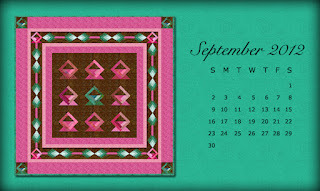 Click on the calendar to expand the image to full size, then right-click and choose Set as Wallpaper or Background. 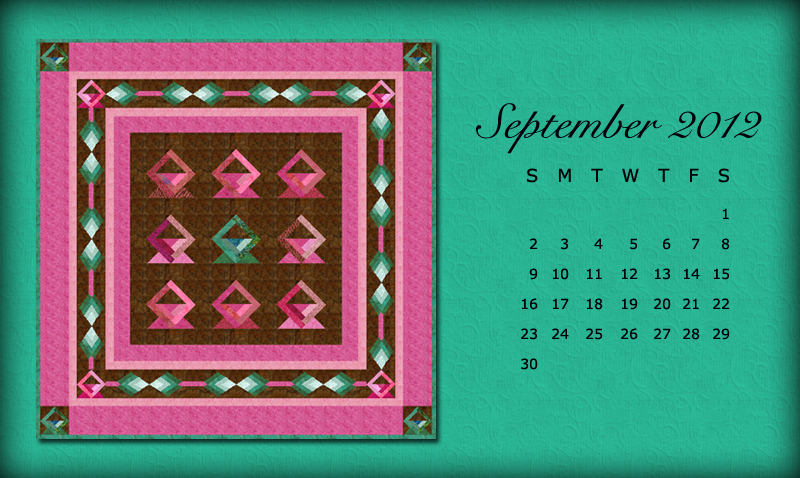 To really jazz up your desktop, right-click on your background and choose a color that coordinates with the calendar - or do like I do, and set your background color to black. It goes with everything and really makes the colors pop! And when your friends say, "Where did you get that?" Send them to see me! Here's to September being a better month than August!